being little • bristol uk fashion & lifestyle blog. : rootin' tootin' and car bootin'. rootin' tootin' and car bootin'. Today, my flatmate and I finally got around to doing a car boot sale! We decided we should dress up all retro and 50s, and boy did we look good. It was quite fun once it got busy, and we attracted quite a few customers. I don't think we sold anything for more than £3, but that's what car booting is all about - buying/selling stuff dirt cheap. I think we made about £55 total, which isn't too bad. It was completely necessary for us to go to the diner afterwards, seeing as we'd made so much effort. Strawberry milkshakes and curly fries were devoured. I am SO exhausted now. I'm in my pyjamas in bed! :] I lvoe a good car boot and i love that you dressed up for it - last time i did one it was so early i was in jeans and a hoodie i fell asleep in the car and left my boyfriend manning tha stall! LOVE your outfits! That diner looks amazing! Glad you made money, I totally know what you mean bout tiredness. 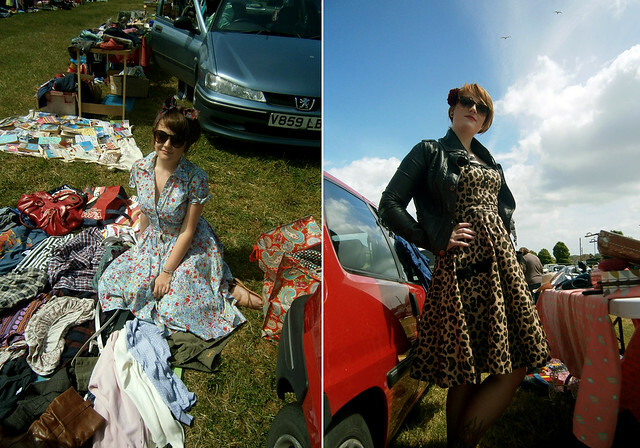 I did a car boot last year, even though it was good fun on a nice sunny day, I was so unbelieveably tired after! You and your friend look stunning, very much the part! 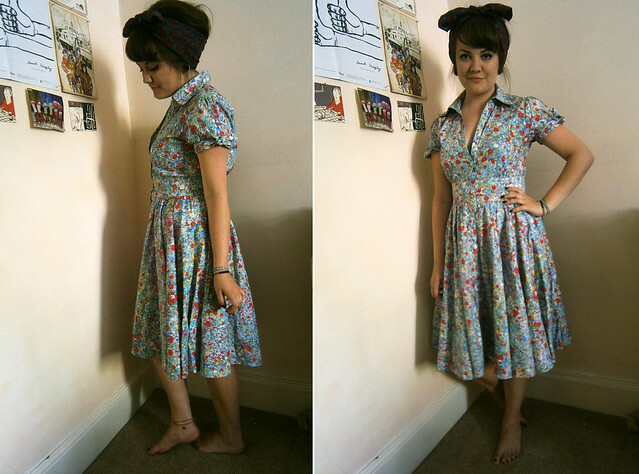 I adore your dress! I love car boots, both selling and buying. Although I dotend to spend my profits if I ever do one haha! Carboots are fun! Glad you made quite a bit of money! Ahh! 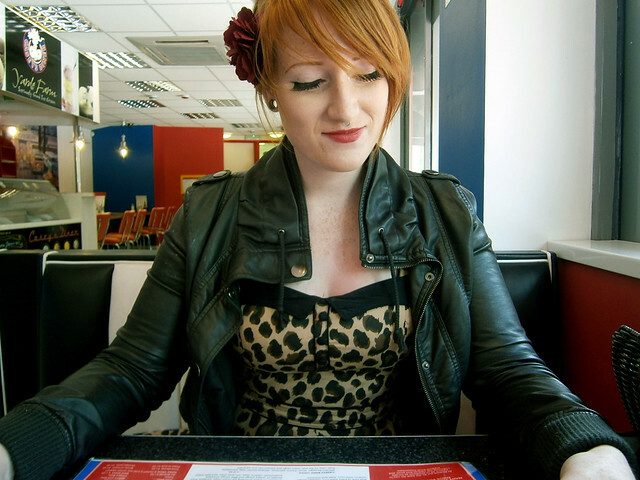 I love 50's clothing and diners! I wish I had a local diner... I think I'm jealous of everything in this post! I love going to carboots, but hate selling at them, too stressful with everyone trying to haggle when it's soooo cheap already haha. Yumm, love American style milkshakes!! You look adorable in that headscarf! Also this inspires me to organise one of these with my friends. I definitely have a lot of stuff I could be getting rid of. This sounds so cool and fun, wish we had them here. You guys looked awesome btw. Lovin' the last pictures with the milkshakes. 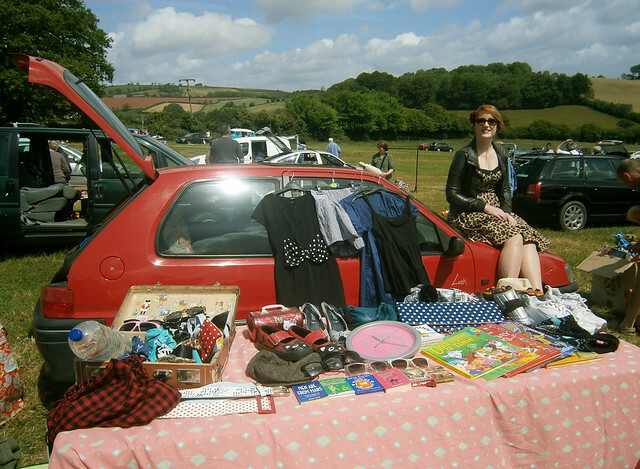 I have not been to a good car boot sale in ages - it looks like you had an amazing time! LOVE this idea, you both look fab! Well done on the care boot, I need to get around to doing one this year! you look awesome! what a great idea to dress up for the carboot. £55 is not too bad! P.S. 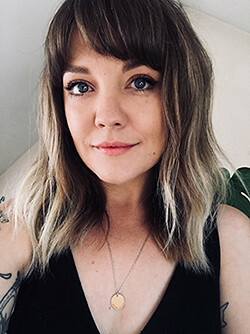 Please visit my blog, I'm having a giveaway! Ahh seeing everyone talk about car boots again makes me wish my mum could still drive me to them! :( used to love them growing up everything was so cheap! 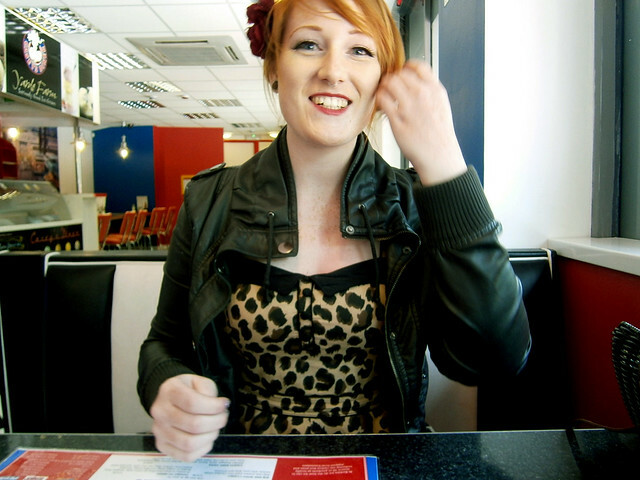 I'm going to quote Prince, 'Could you be the most beautiful girl in the world?'. This looks like it was such a fun time! 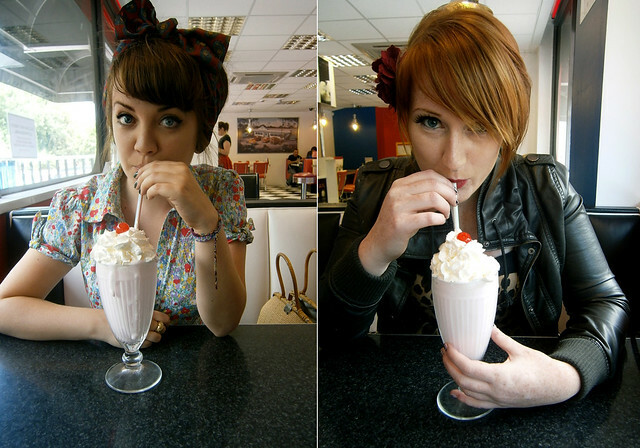 In particular I really like the last two pictures of you gals sipping the milkshakes. The 50's look really suits you both! 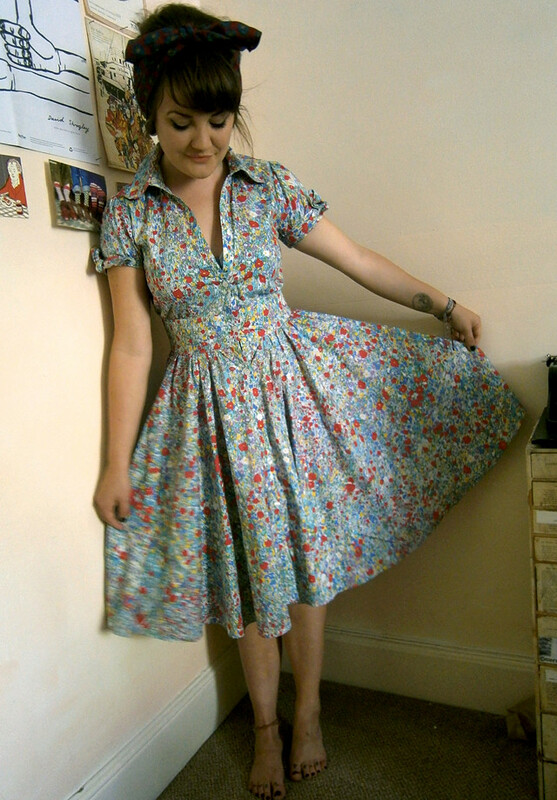 Your dress is lush :) Car boots FTW! little lyzi, mr moon and the cuddly catfish. you are a precious presence. i don't want to stay; i can't bear to leave.